Eight Boston developers has submitted proposals to build on the city-owned Winthrop Square site. Currently, a run-down garage sits on the site in Boston's Financial District. Background: In February, the Walsh administration called for new proposals for the city-owned Winthrop Square garage. That call came after Trans Nat?ional Group -- which originally planned a 1,000-foot project at the site in 2006 -- had restarted city talks last fall about a 740-foot project. Trans National Group remains among the developers who has submitted new proposals. 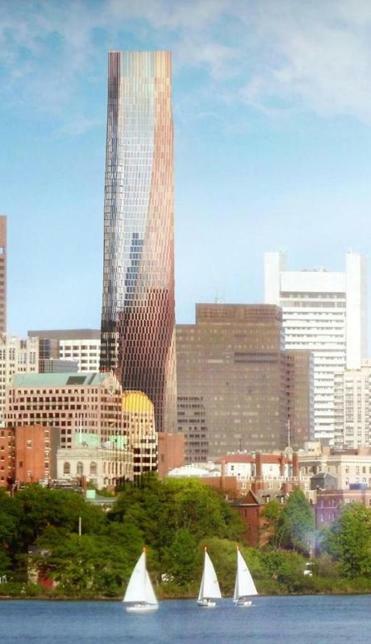 Proposals elements include a 780-foot tower (rivaling the height of Back Bay's 790-foot Hancock Tower), a two-building residential complex, luxury condos, a hotel and a public plaza that includes a new church and school. These proposals were submitted with the Boston Redevelopment Authority this week and will be reveiwed by city officials in the coming weeks. After this review, the city will invite prospective developers to submit their projects in more detail. 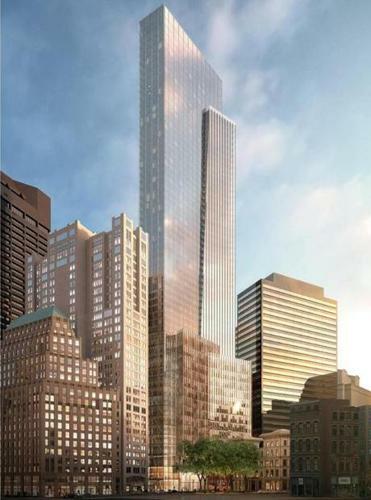 Currently, two residential towers are under construction that will take Boston living to new heights: Millennium Tower at 685 feet and Four Seasons Hotel and Private Residences One Dalton Street, Boston at 699 feet. Sales are quickly moving along at Millennium Tower, with over 70% of units reported as under agreement (as of March 2011). Campion and Company is the Exclusive Sales and Marketing Agent for the new Four Seasons tower adjacent to the Christian Science Plaza; those looking for additional information should contact us today. 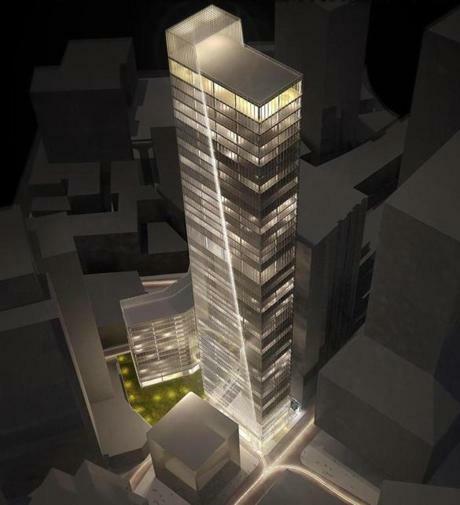 Curious about existing hi-rise condominiums in downtown Boston? Click Here to view developments.